Want to be notified of new releases in soimy/msdf-bmfont-xml? #33 Compare This branch is 118 commits ahead, 2 commits behind Jam3:master. Converts a .ttf font file into multichannel signed distance fields, then outputs packed spritesheets and a xml(.fnt} or json representation of an AngelCode BMfont. Signed distance fields are a method of reproducing vector shapes from a texture representation, popularized in this paper by Valve. This tool uses Chlumsky/msdfgen to generate multichannel signed distance fields to preserve corners. The distance fields are created from vector fonts, then rendered into texture pages. 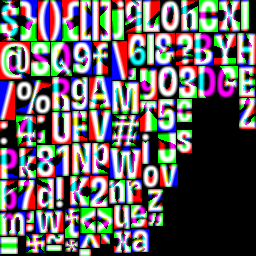 A BMFont object is provided for character layout. Then you just need to call msdf-bmfont from console to generate font file. Type in msdf-bmfont --help for more detail usage. Not satisfied with the style? Remember we got a svg atlas! How about fire up some graphic editor and add some neat effect and lay on the output atlas? Renders a bitmap font from the font at fontPath with optional opt settings, triggering callback on complete. xml a BMFont standard .fnt file which is wildly supported. filename of both font file and font atlas. If omited, font face name is used. 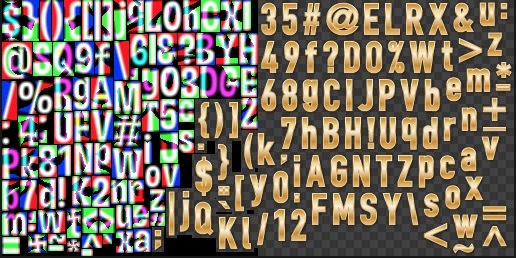 the characters to include in the bitmap font. Defaults to all ASCII printable characters. rounded digits of the output font metics. For xml output, roundDecimal: 0 recommended. textures an array of js objects of texture spritesheet. Since opt is optional, you can specify callback as the second argument.